This post should set you in the right direction and take one major worry off of your list, giving you one more reason to GET TO THAT AUDITION! 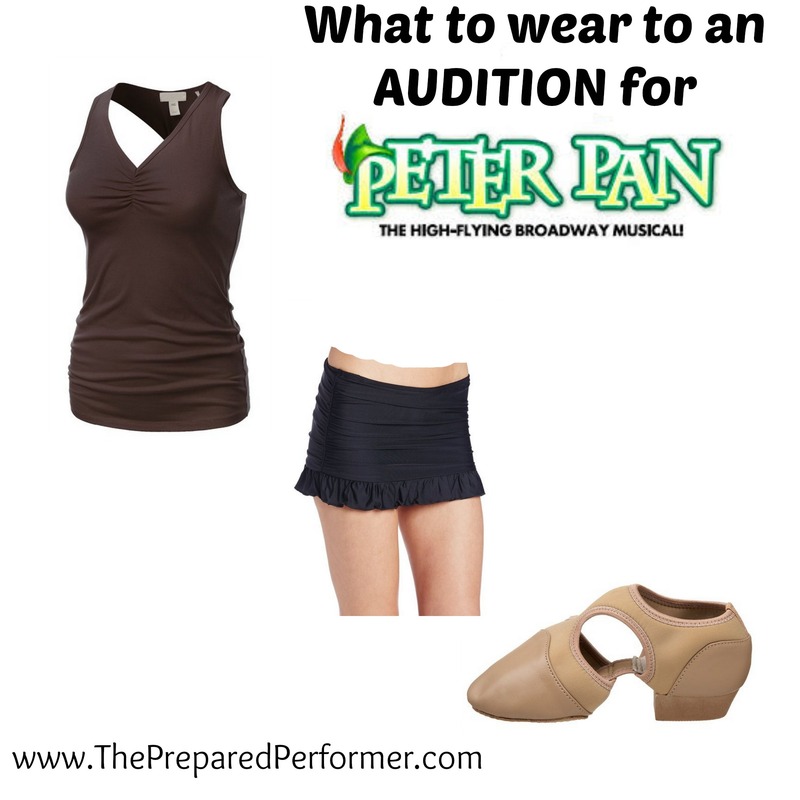 If you'd like to see basic info about what to wear to auditions – read this post. Peter Pan is a great show that covers so many different Actor Types. AND the role of Peter is often played by a women, as well as several of the lost boys. Let's focus on the roles of Peter Pan/Lost Boy and Tiger Lily. (so… gals you could go for either look). I notice earthy colors and nothing too fancy. Everything is pretty casual because they are running around the island. Taking all of these images into consideration and knowing what I know about the show. 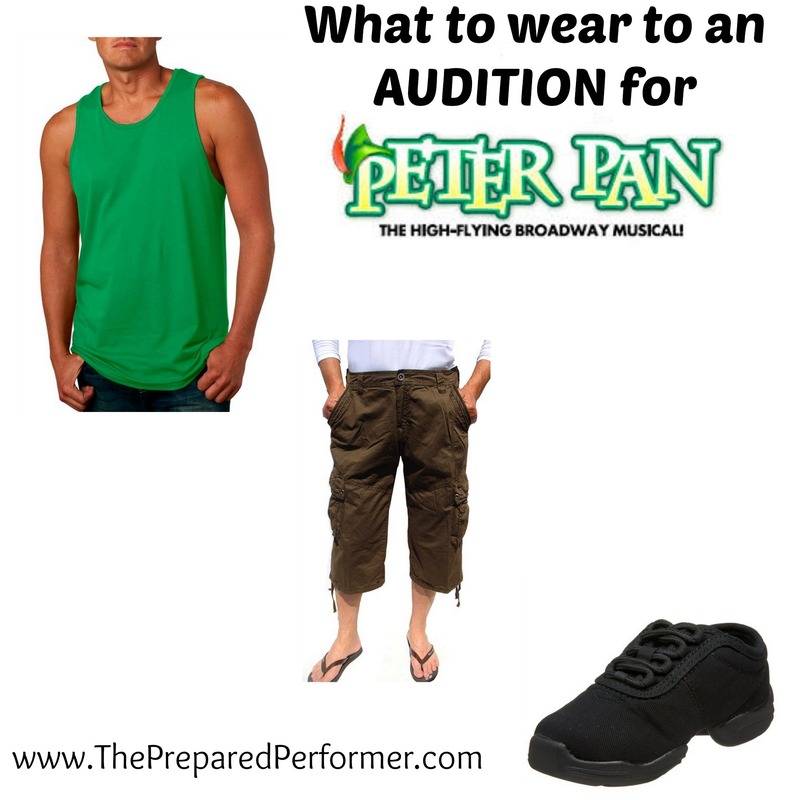 I put together the following outfit for guys to wear to an audition for Peter Pan. Remember, gals, you could wear something really similar if you are going out for these parts. And… if you'd like to purchase any of these items though my affiliate links… here they are. Again, I see lots of earthy colors, and I also see that she is often costumed with her tummy showing. 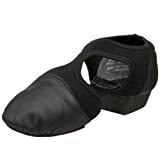 You don't necessarily need to show your stomach, but it is important that you wear something form fitting so they can see what options they have for costumes. Taking this, and what I know of the show into consideration here's what I cam up with. PS – I love these “pedini” jazz shoes. They give great flexibility and control and they also have a little extra padding on the ball of the foot. After dancing for YEARS in heels, that's something my hooves love! I hope this helps encourage you to get out and audition for Peter Pan! Don't forget the following two posts that are filled with audition tips!